If I had to guess, I would say 99% of women out there vow to become healthier, lose weight and get in better shape every single January. For me, I feel really strongly about 2012 being the year I will feel comfortable in a bathing suit. I’m not expecting to wear a bikini this summer, I just want to feel good about myself! Now, I know this may be TMI (too much information), but part of feeling good and healthy is being regular. Regularity is not really my thing. 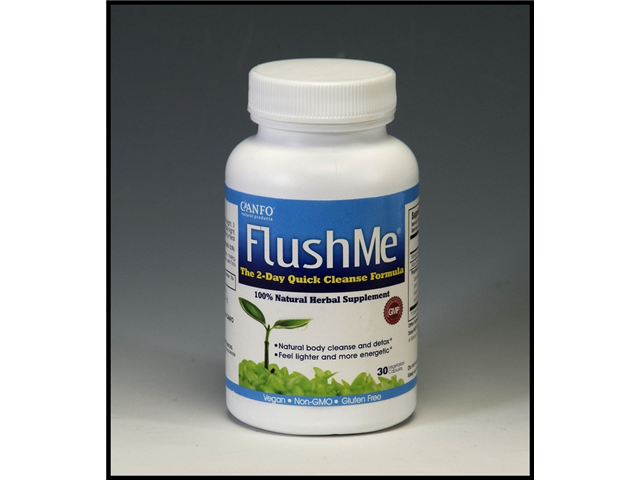 When I was asked to try a product from Canfo Natural called, FlushMe®, I figured after all the holiday eating and wanting to start fresh for the new year, I could use a good flushing. Canfo FlushMe® is a 2-day quick, efficient cleanse formula that will leave you feeling lighter and more energetic. It did the trick for me… I did not have to run to the bathroom, however; I did feel “cleansed”. 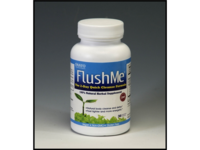 You can also take the FlushMe® on a more regular basis, once a day, to get your system going. Canfo wants you to make 2012 the best ever by using Non-GMO (genetically modified organisms) Project Verified, fast-acting, effective supplements for healthier skin, hair and nails (BeautifyMe®), natural mood enhancement (NoWorries®), lung support (LungCare®), feeling lighter (FlushMe®) and overall kidney support (NoStone®). All Canfo products are 100-percent natural supplements that enhance your state of well-being by carefully blending state-of-the-art science and an eco-friendly manufacturing process, with proven centuries-old formulas. Safe, fast-acting, effective, and time-tested, all Canfo products are comprised of the finest quality, pesticide-free, wild-crafted, hand-picked herbs and are vegan and gluten-free. I may have to try BeautifyMe® next just to see what happens! More information on Canfo products is available at canfo.com. For news updates, information, and special offers, follow Canfo Natural Products on Twitter @CanfoNaturalP and Like the company on Facebook at www.facebook.com/canfonaturalproducts. Good luck to all you dieters! Here’s to our healthiest year yet! Disclosure: I was sent this product for review, free of charge.